There is a broad consensus amongst our Gedolim that we are in a period of time now called Ikvese Demeshicha – or the End of Days. (Click here to read this letter from the Gadol HaDor Rav Chaim Kanievsky stating emphatically that we are indeed in the days known as the Ikvesa demeshicha or the End of days). More recently Rav Kanievsky has been reported as urging the Jewish Olam to make aliyah for the imminent redemption. When asked what message he had for klal Yisroel at this time and for a chizuk for the Jews of chutz la’aretz (the Diaspora), Harav Kanievsky solemnly declared: “The coming of Moshiach is imminent and he is on his way… It is stated in the Talmud that after the conclusion of the shmitta year Ben Dovid (the scion of Dovid) will come.” To view this report, click here. To drive this point further into our consciousness, take a look at this wonderfully done 2 minute video about a young boy who goes to sleep in Galut and wakes up in Geula. To view, click here. Rabbi Zecharia Wallerstein states very poignantly in a shiur he gave during Parshat Yisro in 2009 that only those Jews who hold on tight to their Emunah and trust in Hashem during these times of turbulence and uncertainty will merit to witness the unfolding of history and be a part of the climactic finale of the final redemption (to hear a 5-minute excerpt from this shiur, click here). Rabbi Itamar Schwartz, author of the life-transformative series Bilvavi Mishkan Evneh, shares with the women in Klal Yisrael the unique avodah specific to the month of Nissan. Every month has in it a special ability which we can use to serve Hashem. In the sefarim hakedoshim our Sages tell us that the special avodah for the month of Nissan is the power of speech. The Rav also explains the connection between the tikkun of speech and the women's role in the redemption from Egypt. The Rav speaks in hebrew and there is an accompanying english translation. To listen and download, click here. To read a transcript of this class in English, click here. The best advice to rectifying our speech, the Rav suggests, is to accustom ourselves to talk to Hashem throughout the day. To hear Rabbi Schwartz’s shiur on The Importance of Talking to Hashem all Throughout the Day, click here.  To read a thorough compilation of the Rav's "talks" on Pesach, click here . To access the Rav's guidebook on "Cleaning for Pesach", click here. For another great shiur and transcript in English from the Rav regarding the power of Seder night, click here. To hear more fantastic shiurim from Rabbi Schwartz on Pesach, go here. Peh sach: the mouth speaks is a major theme for this month and the upcoming holiday. If the name of the holiday is at all indicative of its inner meaning, then learning to redeem our speech and access it's true power is therefore an important tikkun and preparation for Pesach. LISTEN to an important shiur that will open your eyes to the incredible power of speech and how to tap into our underdeveloped but most awesome G-d like capacity to change reality with the words we utter. This class was given as part of a series called The Lights of Emunah. which, as described by one of its participants, is a life-transforming journey toward a more personal and palpable relationship with HaKadosh Baruch Hu. The destination of this journey is no less than traveling to the deepest part of your inner world and coming into close personal contact with your true self: your Godly soul. Listen to a wonderful shiur by Rabbi Nachum Chaimowitz who elaborates on the awesome power of speech Hashem bequeathed to mankind. Speech is what distinguishes us from all other creations and is our most awesome koach. Rav Chaimowitz explains how the building blocks of the universe are made up of Hebrew letters and the incredible power we wield when speaking in “loshon hakodesh”. This is a perfect way to prepare for the month of Nissan in which our speech can best be rectified. Internalize this Avodah further by saying every day during the month of Nissan a special prayer to guard our speech prepared by the Manchester Rosh Yeshiva, Rav Yehudah Zev Segal, zt"l based on a tefilah of the Chafetz Chaim. To download the PDF of this tefilah, click here. Rav Chaimowitz recently published the most clearly explained and succintly spelled out description of Who Hashem Is? What is the purpose of Creation? And How Can We Tangibly Create a Relationship to Him? This sefer, called "It's All For The Good" is an absolute must read!!! Here is the link to order the sefer. One more class on learning to use our speech in the holiest of ways: A phenomenal shiur that is sure to absolutely change forever the way you pray. Given as part of a series from the classic sefer Nefesh HaChaim, Rabbi Tzadok Cable shares with us the awesome depth of the words we utter in prayer and our ability to partner with Hashem in creation through speech and tefillah. To listen and download, click here. Rabbi Cable has an absolutely unique ability to express the loftiest ideas in the most practical of terms. Become a part of The Binah Tree and learn with Rabbi Cable every week from the comfort and convenience of your home. For more information or to register, contact me directly at DevorahYaffa@G-dDirectTorah.com. To order Rabbi Cable's in depth and foundational sefer on the Six Constant Mitzvot, click here. To become a part of this fantastic “phone chabura” opportunity learning seferim kedoshim delving into the inner workings of the universe and our inner beings, visit: www.TheBinahTree.com. Chometz: Friend or Foe or Maybe Both? Listen to Rav Labinsky’s masterful shiur as he explains the subtle distinctions between Matzoh and Chometz. Where is the Chometz in our personal lives and how can we get rid of it without making ourselves crazy? This is part of a series. To hear more inspiring shiurim to uplift our Pesach preparations, click here (scroll down to Pesach). Plug into the intense energies and potential for growth in the air right now as Pesach approaches. Rabbi Cable shares with us in a very impactful shiur ways to prepare for Pesach on a personal and internal level. Listen in and learn how we can tune into the mitzvos of Pesach, understanding the deeper significance of these mitzvos, and how to elevate our whole holiday to a new level of growth and awareness. We know the redemption from Mitzrayim was not just because it was "the right time" - it was in fact early - a direct result of Klal Yisroel's actively bringing about the redemption - a quid pro quo! Discover the secret of how the mitzvah of Ahavat Yisrael led to Klal Yisrael’s redemption from Egypt and how we can activate Hashem's Kindliness and Compassion to bring about our future Geulah… today! 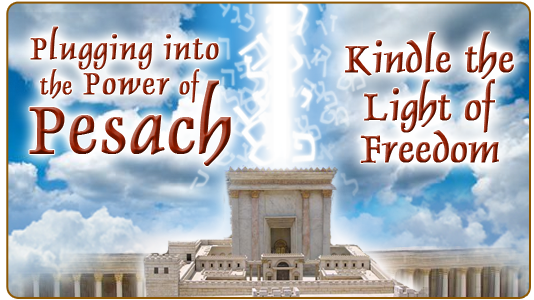 To view a powerful video on the magical impact of "Ahavat Yisrael", click here. Reclaiming Joy - Why Are We Experiencing Such A Lack Of Simcha? Listen to this wonderful class from Rav Moshe Weinberger defining Simcha and why this essential quality of joy in our Avodat Hashem is so hard to come by in our generation. This class is part one of a six part series. As joy is a always an essential ingredient in our Avodat Hashem, this class is a must listen to for all year round. To download part one, click here. Be a "Spiritual Settler" and Not a "Spiritual Nomad"
Every once in awhile I hear a class that's so right on, so hits the "nail on the head" , and so resonates with my"G-d Direct" wave length that I want to climb to the top of some high roof top and yell out: "hey women of Klal Yisrael, you gotta hear this stuff!" Such was the case last week when Rabbi Tzadok Cable gave over the latest installment in our Living in the Present Moment phone chaburah. The Rav clarified the difference between being a "spiritual settler" vs. a "spiritual nomad". From the time we wake up in the morning to the time we go to sleep at night, we need to acquire the mind set of being "b'Makom" ; of being in "Hashem's place" and as such everything we do should be integrated within that framework and focus. LISTEN for yourself to this transformative class. Your Avodat Hashem will never be the same again! For more information on how to be a part of Rabbi Cable’s phone chaburah community, go to:http://www.thebinahtree.com or email. To sign up for the LIVING IN THE PRESENT MOMENT CHABURAH, email me TODAY! Meet Devorah Sisso Stieglitz! Our latest addition to the “G-d Direct Torah” family, Devorah’s “Emunah Torah” is refreshingly real and down to earth. Listen here to this wonderful class on Hitbodedut: The Total Game Changer. This class is part of a 6 part series Devorah gives on line called Breakthrough. In this series, you'll learn tools to identify what's keeping you stuck in life, "break through" them, move on to the next stage, and attract what you truly want into your life... while recognizing that it's all from Hashem. Get excited about your future and your incredible potential again. This is another one of those "hit the nail on the head" classes on Emunah that you'll want to listen to over and over. Visit http://www.devorahspeaks.com/breakthrough for more information on Devorah and her series. A couple years ago, on Rosh Chodesh Nissan, something very special and unique took place in Klal Yisrael. Over 4,000 women came together from all around the globe to join in the Nishmat Kol Chai Worldwide Event. This event celebrated thousands of women saying Nishmat Kol Chai for 40 days in a row. 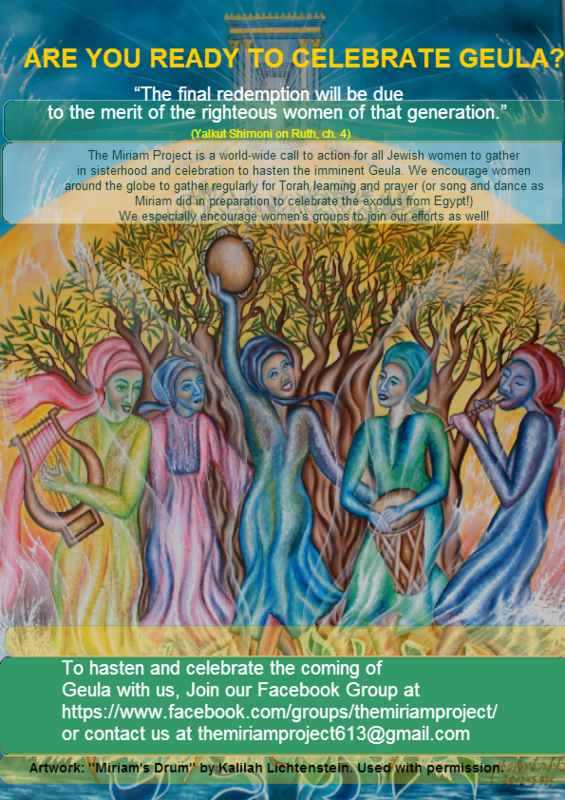 It was a celebration of our gratitude to HaKadosh Baruch Hu and a celebration of us, Jewish women, and our power to unify to bring the Redemption, closer, IY"H! This event featured inspiring and empowering talks by Rabbanit Yemima Mizrachi; Rabbi Aryeh Nivin; Lori Palatnik and a special bracha from Rebbetzin Leah Kolodetsky. daughter of Hagadol HaDor, HaGaon, HaRav Chaim Kanievsky. If you haven’t seen this yet, or even if you have and you want to see it again, click here now. For the first time in 36 years, made available now to our G-d Direct Torah community, you can hear Rabbi Aryeh Kaplan zt”l in a radio interview he gave in 1980. To hear Rabbi Kaplan describe the importance of hitbodedut/meditation and the examples he demonstrates on how to attain a state of “aloneness” and closeness with the Ribbon shel olam is truly life altering. Thank you to Rabbi Avraham Sutton for making this audio available to us. To download, click here. Rabbi Moshe Weinberger pierces to the depths of the “pintele” yid with this shiur that he gave to a group of women in Lawrence, NY upon their completion of the Sefer Bilvavi Mishkan Evneh a few months ago. Rabbi Weinberger tackles the difficult questions of how to maintain emunah amidst pain and suffering and how to transition this generation from one that “hears” and knows about Hashem’s existence to one that “sees” and “feels” Hashem’s existence moment to moment. A must hear preparation to help us plug into the potential for "Ahavat Hashem" in the air right now.. To access this shiur, go here. Rabbi Avrohom M.Alter, Yeshiva Migdal Torah, Chicago, Il. Every once in a while, you hear a class that you can listen to over and over and over again. The truth is my Rav, Rabbi Avrohom M.Alter, has many shiurim that fit this description but this one really struck a deep chord within my “Emunah driven” heart. Listen for yourself and see. This shiur on how to educate our children in Emunah and Bitachon is really about how to educate ourselves in Emunah and Bitachon. Once we get it, they’ll get it too! This shiur should be on your “favorites” to be listened to all year round. For download, click here. Listen to a captivating shiur by Rabbi Pinchas Winston who has made it his life’s mission to prepare this generation for the imminent redemption. What’s left for us to do? We need to develop a strong national will for Geula. This means making the prospect of Redemption more real and palpable in our lives. To access the video of this talk that was given recently in Ramat Beit Shemesh, click here. To access the mp3 recording, click here. Go HERE to receive a beautiful guided Imagery by Chaya Hinda Allen (www.JPThink.com) to help us feel Hashem's love for us and His loving protection. Practical and inspiring, we need this chizuk now more than ever! This track teaches us how we can empower ourselves to face the challenges of stressful times with courage. As Chaya Hinda explains: “By using our minds and our imagination (tziurei halev in the words of Rav Dessler) we can create deep and enduring feelings of trust and connection. It must be practiced, it doesn't necessarily come at once… No one is born trusting Hashem. It is the effort we put in to guide our minds and to think these thoughts that create the protection." To be a part of Chaya Hinda's on-going on-line Thinking Positive! 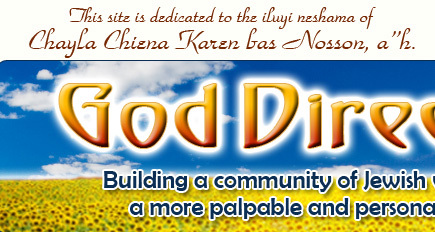 course, visit..
You can also now become a part of a growing community of Jewish Women led by Chaya Hinda Allen by becoming a memeber of Chaiyil. Members receive an 18-minute installment of Chaiyil every day - either an uplifting audio message, member success story, guided bitachon experience or practical exercise. To hear a sample chizuk message on the power of our wanting and willing, click here. To sign up and receive more daily chizuk messages click here. We learn that in the merit of the Jewish Women, we were redeemed from Egypt and in the merit of the righteous Jewish women in the future, we will be redeemed again. As we enter into this difficult time period, now more than ever we need to gather ourselves together as Jewish women, do Teshuva, and pray that our Unity is no longer built on tragedy but rather built on Positive Actions and Unity Initiatives. Listen to Rebbetzin Chaya Levine, widow of Rabbi Kalman Zeev Levine, Hy”d, who was amongst the four kedoshim brutally murdered in Har Nof. During this very personal and poignant meeting with Rebbetzin Levine, she described for us one such powerful initiative. She also not only gives us as Jewish Women a Call to Action, but shares with us her personal story from the morning she learned of her husband’s death till today. To view a very inspiring video with Rebbetzin Levine and others describing this project in more detail, click HERE. Rebbetzin Ruchi Goldenberg, Beit Shemesh, Israel. Chazal teach us that there exists a marital relationship between HaKadosh Baruch Hu and Klal Yisarel. In order to properly appreciate this relationship paradigm better, we need to understand what is the essence of a Jewish marriage, what is the inherent holiness between husband and wife. Having been married almost 20 years, I’m just now beginning to understand thanks to Rebbetzin Ruchi Goldenberg. LISTEN to this beautiful and eye opening shiur revealing the true secrets of marriage or as the Rebbetzin teaches: “This is the way Hashem created the world; a woman draws her inner identity, her essence, from her husband.” This was a big chiddush for me and I'd like to share it with you. This shiur is based on a chapter from a newly published sefer entitled: My Soul Desire published by Beis Hamidrash Neizer Yisrael of Harav Avraham Tzvi Kluger. To read this excerpt, click here. To order this wonderful sefer, go to: www.feldheim.com. To access more of the Rebbetzin's shiurim on Shalom Bayit, go here. VIEW this video now (courtesy of www.aish.com) and please forward this message of hope and unity to others. Putting into action Mrs. Fraenkel's suggestion of how to keep the Jewish Unity we created alive and spreading, a wonderful initiative has begun to create more Unity amongst the Jewish Women in Klal Yisrael. For more details on how to be apart of this special endeavor, click here. I also recommend reading a wonderful piece from Parshat Noach entitled: United for Good. Cry along with me as you view this wonderful video courtesy of www.Aish.com on the Power of Prayer. To view, click HERE. © 2013 G-d Direct Torah. All Rights Reserved. G-d Direct Torah will not sell, give away or share your information with any other organization under any circumstances ever. Period.